Ahh I can't believe we're already almost halfway through December! Where has the time gone?! Things are finally starting to take a holiday turn here - the weather is cooling off, the wrapping has begun and the Christmas parties are in full swing. Who wouldn't want December to keep on coming? I've been all about the layering this month with the changing temperatures and for work. 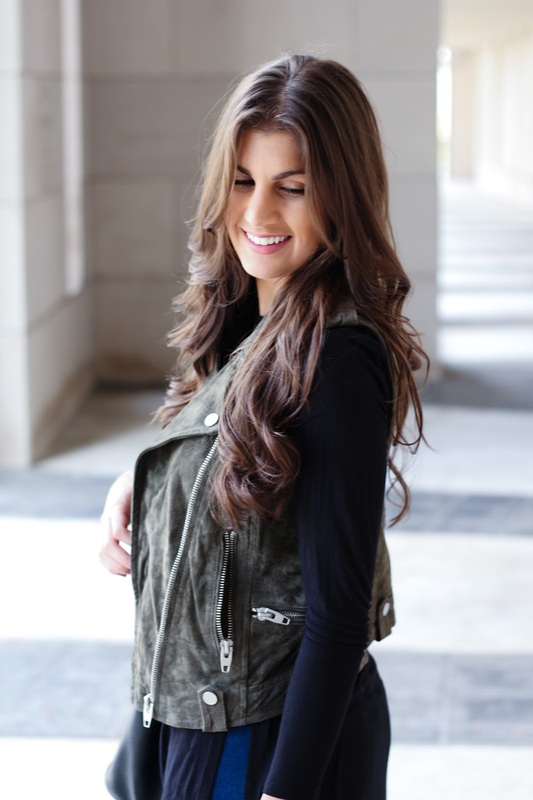 This vest has been on serious rotation along with my favorite cardigans! It's perfect to throw on over a thin long sleeve t-shirt and more. It's no secret the Pantone color for 2017 is "Greenery," and I'm getting a head start. Green is such a great color on so many people - especially those with an olive skin tone. A.k.a Let's go green my friends... starting with this vest, which also comes in a jacket that I've linked below!